Calling all bakers! Old and young alike, to take part in our parish Annual Bake Sale. 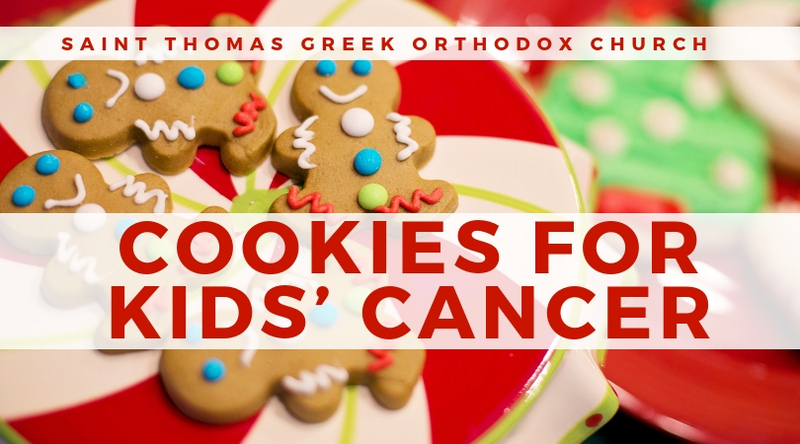 Once again, our Sunday School and Youth Ministry groups are working in conjunction with “Cookies for Kids’ Cancer” and funds raised will be supplemented by GLAD and OXO Corporations. Chairperson: Olympia Anagnostou (Olympia118@gmail.com or saintthomassundayschool@gmail.com). All young people of our parish are encouraged to donate homemade baked goods for sale that day. Please bring all items for the sale before 10 am on December 2nd.